After waking up at 3:30am so we could make an early start to the Custer State Park Buffalo Roundup we spent the rest of the day at the roundup and arts and crafts fair. As evening approached we decided on an early dinner and a evening visit to Sylvan Lake. We thought it might be a good spot to get some evening photos. It was still warm, after reaching 90 degrees earlier in the day, when we arrived at Sylvan Lake. W found a wedding party setup and photographing along the lake. We took a walk around the lake while waiting for things to clear out. As night approached I thought it would be a good idea to try some star trail photography. My wife went along with it so we walked back to the car to get our gear and some warm clothes. We spent the early evening taking photos from the south end of the lake. After taking about 30 photos I decided to call it quits. With the wedding party at the lodge there were a lot of cars driving around and I thought it would distract from the star trails. There were also quite a few planes flying through the background. The fact that we had been up for over 17 hours also played a part in the decision. This is as far as I got in my start trail attempt. 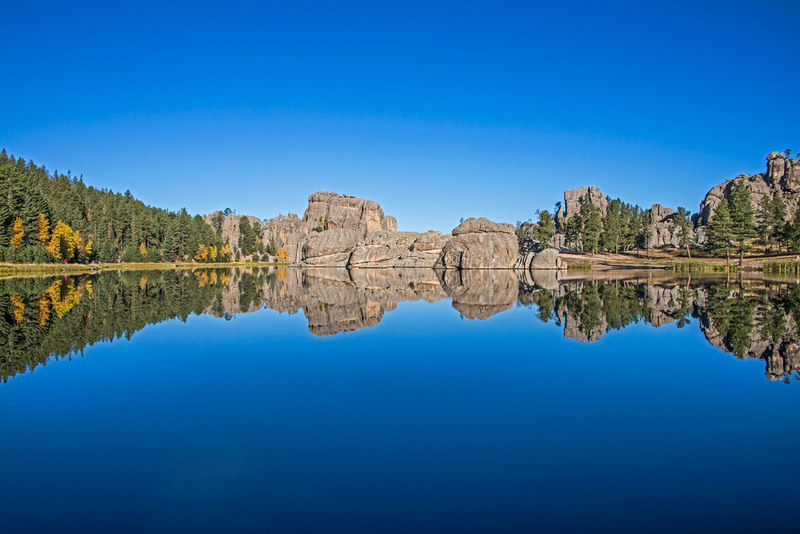 We headed out early in the morning to do some hiking around Sylvan Lake in the Black Hills. The trail starts out on the Sylvan Lake Trail. 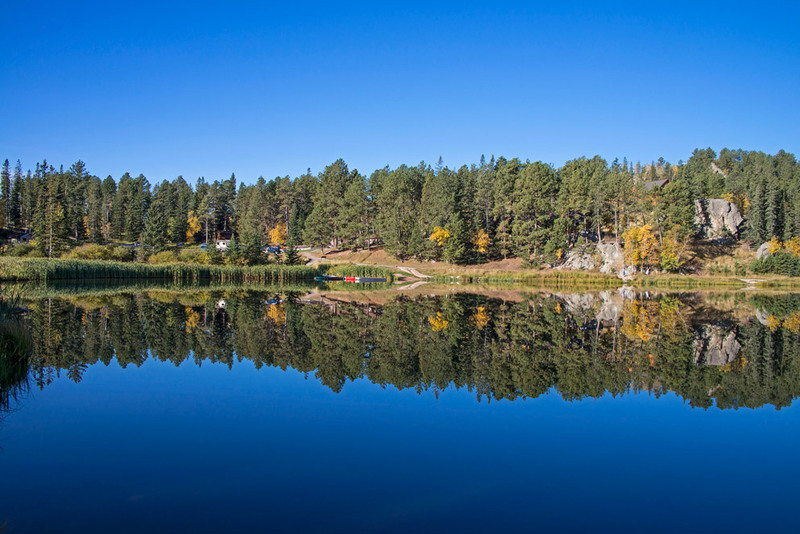 As we walked around Sylvan Lake there was some nice light and a couple of fishermen out on the lake fishing. Our initial plan was to hike the Sunday Gulch Trail but we found it blocked by high water just below the Sylvan Lake Dam. I took a few shots of a waterfall but that is as far as we could go. We backtracked and continued on the Sylvan Lake Trail. About two-thirds of the way around the lake it started to rain fairly hard so we headed back to the car. We drove out of the park a little way and checked the radar on our phone. Rain, Rain, Rain.